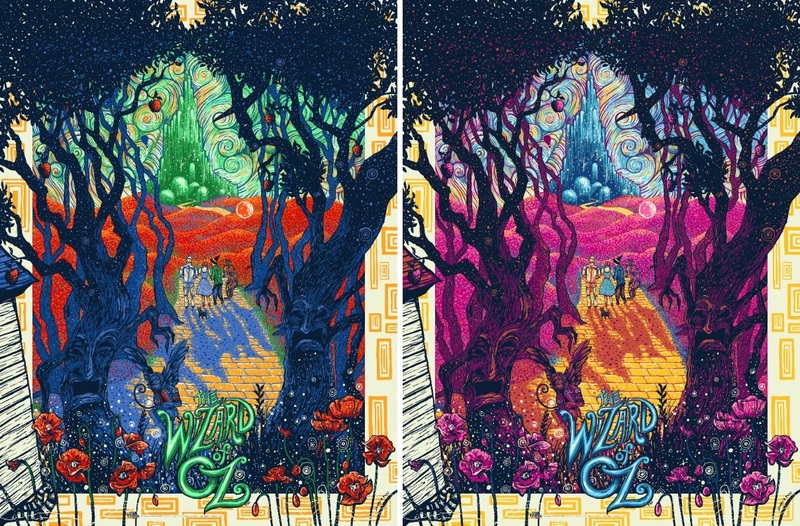 Dark Hall Mansion has unveiled its newest officially licensed screen print for the iconic 1939 film, The Wizard of OZ, by artist James Eads! This trippy print is all kinds of awesome!!! 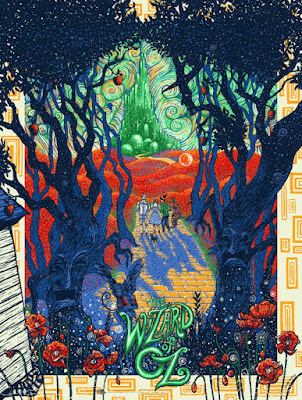 Eads style is so distinct that it perfectly complements the unique place that The Wizard of OZ occupies in pop culture history. With his unique stylistic renderings and bold use of color, James celebrates the film's beautiful color palette while also including some fun hidden treats that fans will enjoy seeking out. The Wizard of OZ by James Eads is an 18”x24” hand numbered screen print. 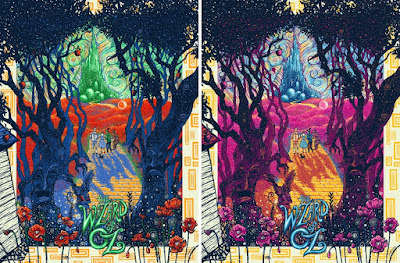 Each print will feature a touch of glitter embellishment added to Dorothy's ruby slippers by James Eads’ studio, which will be personally printing and overseeing all editions. The Standard Edition is limited to 280 pieces and will retail for $65, while the Variant is limited to 50 pieces and will retail for $95. There will also be Foil Variant Editions of both versions, which will be limited to 10 pieces each and retail for $150. All four versions will go on sale at 12:30pm PST on Tuesday, June 27th, at the Dark Hall Mansion online store.